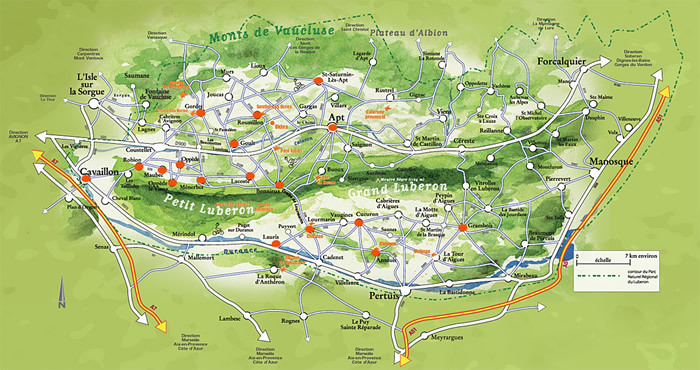 After Oppède-le-Vieux, we continued onto the Luberon Valley. 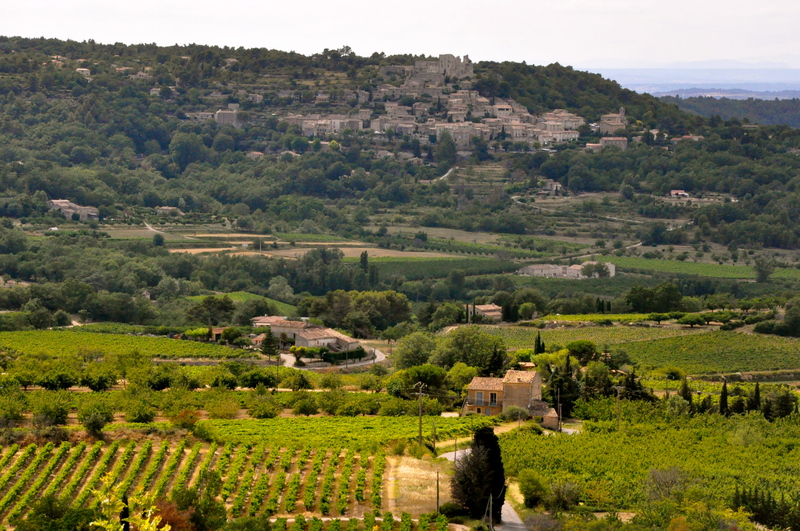 An article from jet setter had recommended Menerbes, Lacoste, Bonnieux, and Gordes to be nice stops while in Provence. 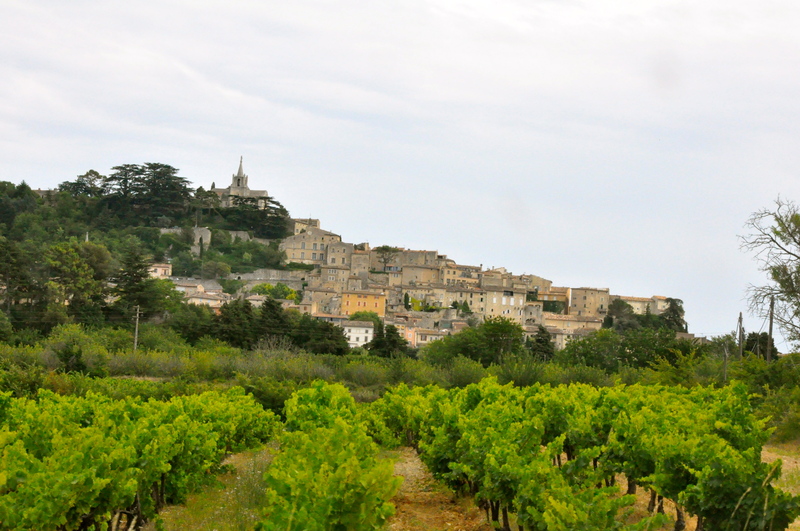 We knew we would hit Gordes later in the Fall with my Mom so chose to pick from the remaining. 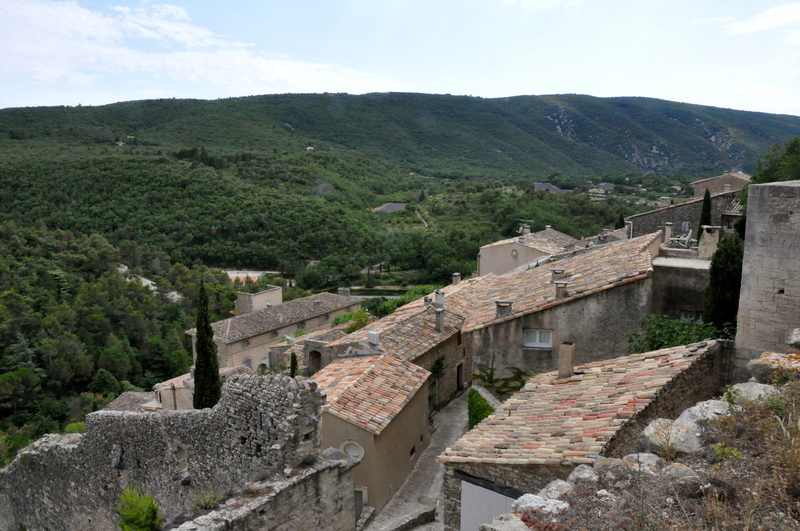 We settled on Bonnieux as it was supposed to have excellent views of the countryside and lavender fields. We didn’t have time, but it is supposed to be an excellent place for pain au chocolat. They also have a museum of bread-making. 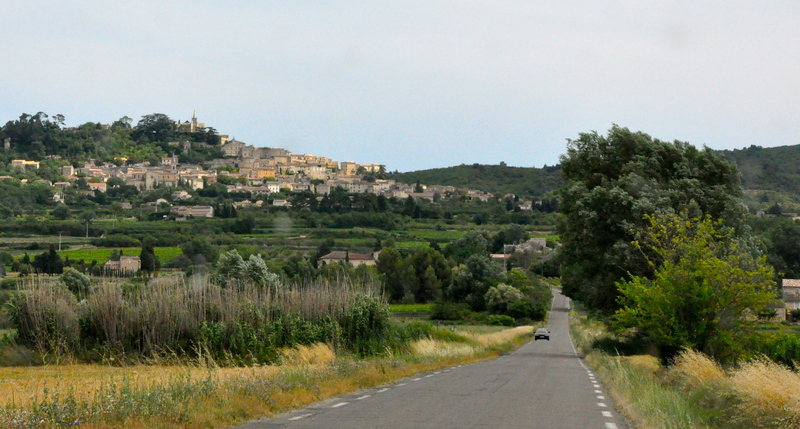 Since we wanted to see the view, we drove right through town, up to the top. After driving through the adorable streets, we parked at the top. There was an old passageway that was quite beautiful. We found the most peaceful hilltop. 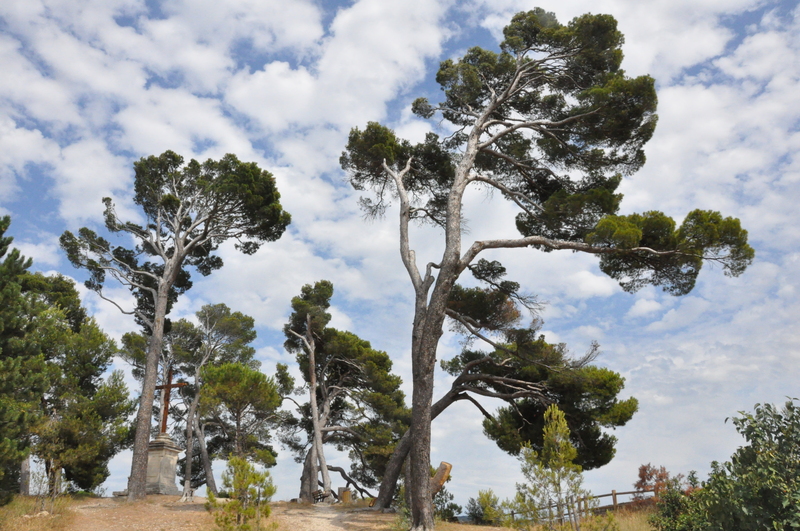 It was adorned with trees, permanently bent by Le Mistral. There was a single cross and a few benches. One fellow was meditating at the top, and we were the only others. The view was very calming as well. Note the lavender fields in the distance? We enjoyed taking in some of the architecture and panoramic views. 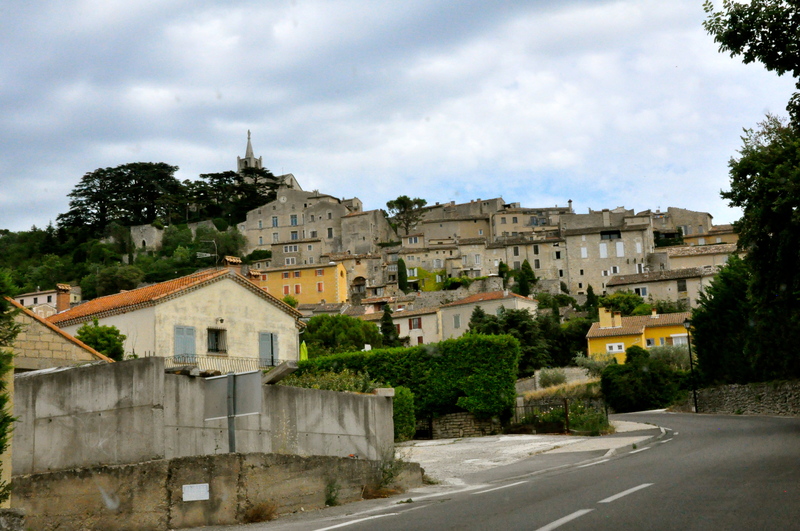 As we were driving out, we got some views of Lacoste. No, this town isn’t the namesake of the alligator brand. 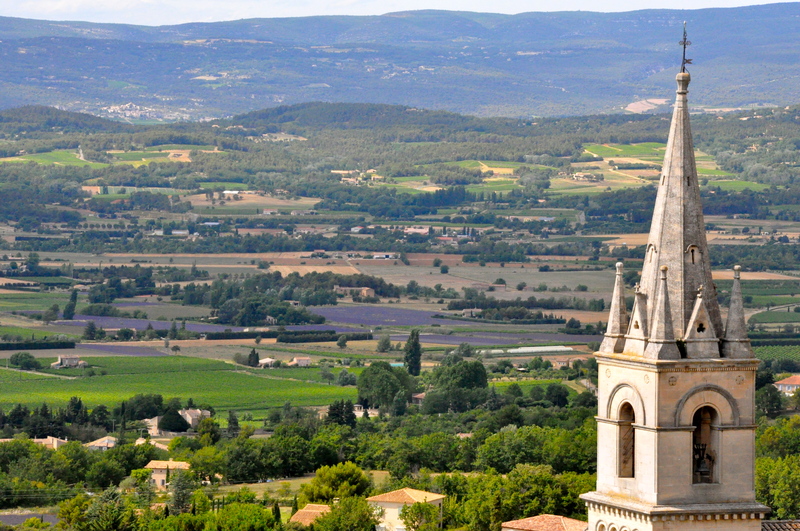 But, an interesting fact is that Pierre Cardin has dedicated much energy to restoring and improving this little Provencal gem. 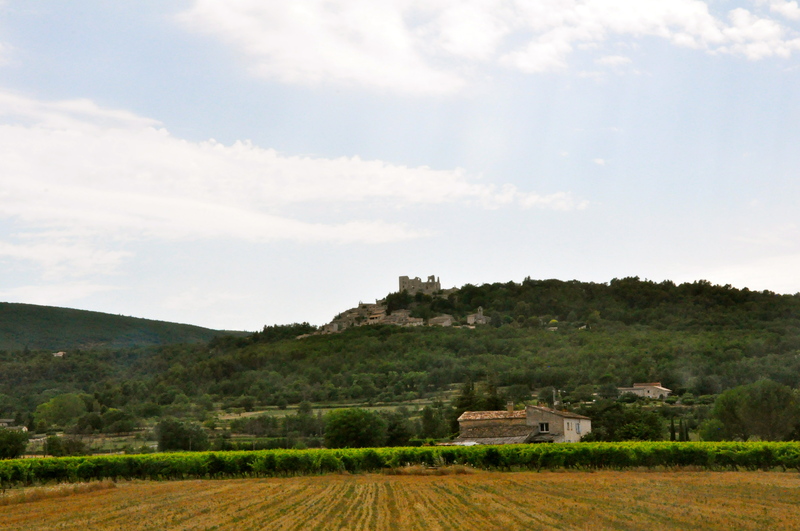 A few of Lacoste across the small valley. The towns are 4km apart. 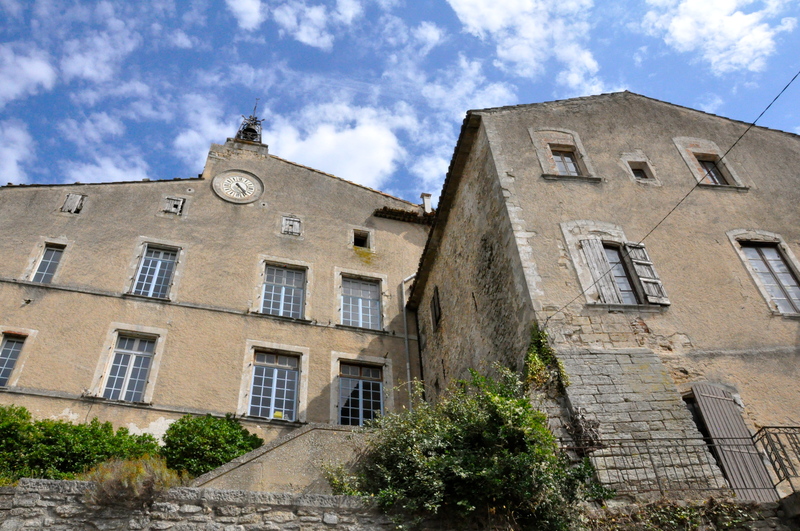 By the time we left Bonnieux, we decided we had had quite a full day of Provencal adventures so we returned back to our hotel pool for some relaxation. 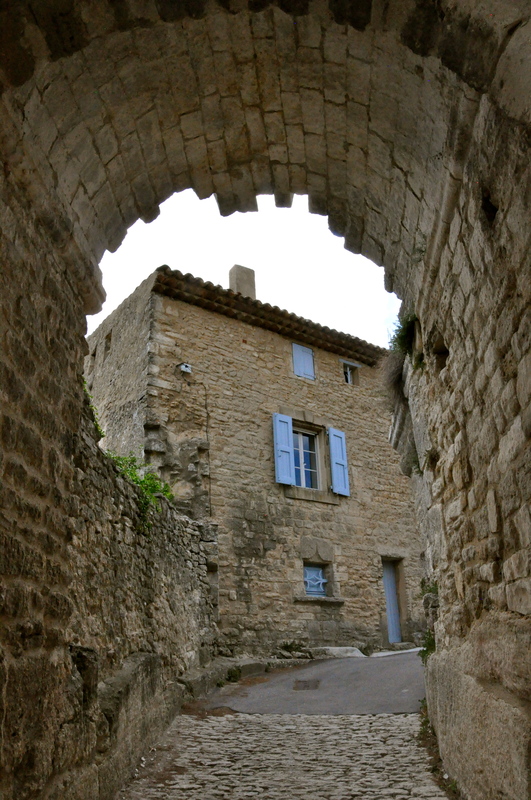 This entry was posted in Cute Towns, Summer, Travel: Europe. Bookmark the permalink.